This book has two reviews for it by customers on Amazon.com. Neither is very good. You can read them by clicking the Veiw At Amazon link. 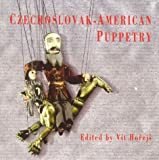 Vit Horejs was born in Prague, Czechoslovakia, where he grew up on a hearty diet on folk tales and puppet theatre. He published a number of original stories and poems in his native country before he moved to the United States in 1979.